One day left for BC SPCA lottery tickets! You are here: Home > One day left for BC SPCA lottery tickets! Only one day left to get your tickets! There’s only one day left to buy your BC SPCA Lottery for Animals tickets this year! 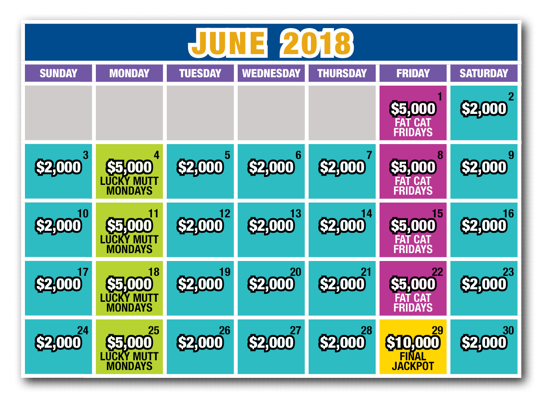 Buy your tickets before Friday at midnight, and you could be one of our 30 lottery winners this June. Tickets start at just $30 – get your tickets before this year’s lottery is over! With a total of $100,000 to be won this year, don’t miss out on this year’s Lottery for animals — get your tickets before tomorrow night! The BC SPCA Lottery is generously sponsored by CTV and TV Week. For tickets and more information, visit lottery.spca.bc.ca or call 1-855-205-5998. Ticket purchasers must be 19 years of age or older and tickets can only be sold in B.C.